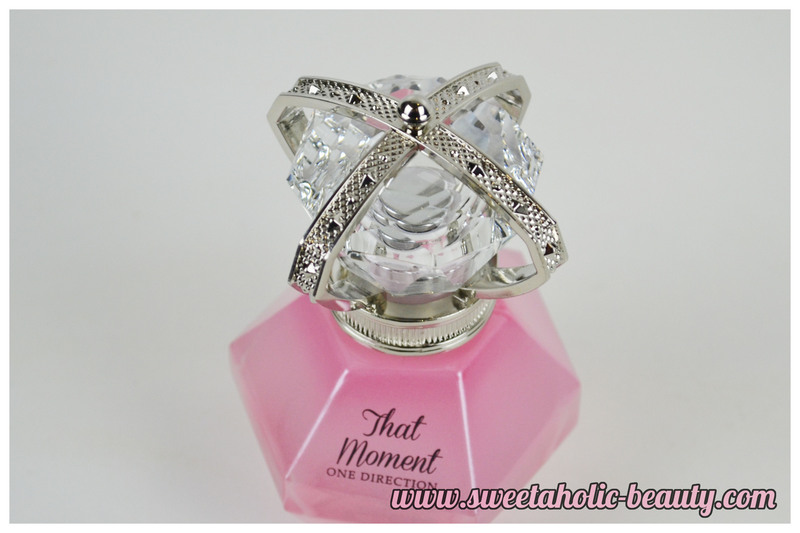 The scent is very sweet and girly, which makes it perfect for a special occasion. I love wearing it during the day now that it's warmer. Top notes include apple, cucumber and tangerine. Middle notes include muguet, peony and violet whilst base notes include patchouli, creamy musk and cedarwood. I feel like scents mix really well and create a beautiful feminine scent. As you can see, that lid is just amazing! Overall, I really like this scent. I've been wearing it most days now that it's warmer. I've received a few compliments on how girly and fruity it smells. In terms of longevity I find that this is one of the stronger celebrity fragrances that I own, with the scent staying with well into the day without a touch up! I was surprised to still smell some lingering scent after a long day at work! 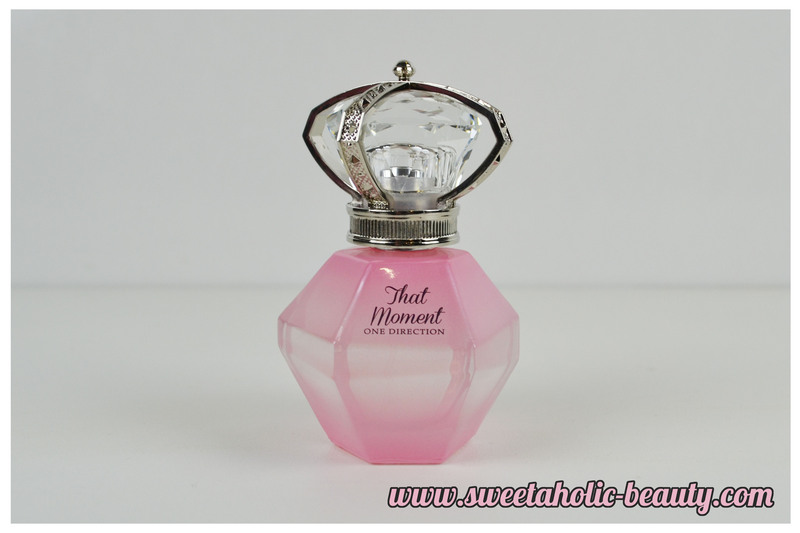 I would definitely recommend this one to anyone who loves a fruity, yummy, girly perfume! 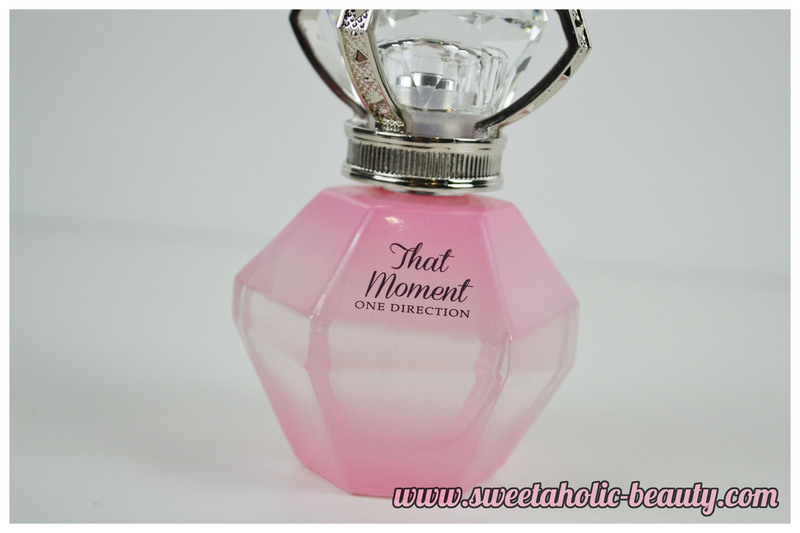 Have you tried That Moment, or any other fragrance by One Direction? If so, what are your thoughts? 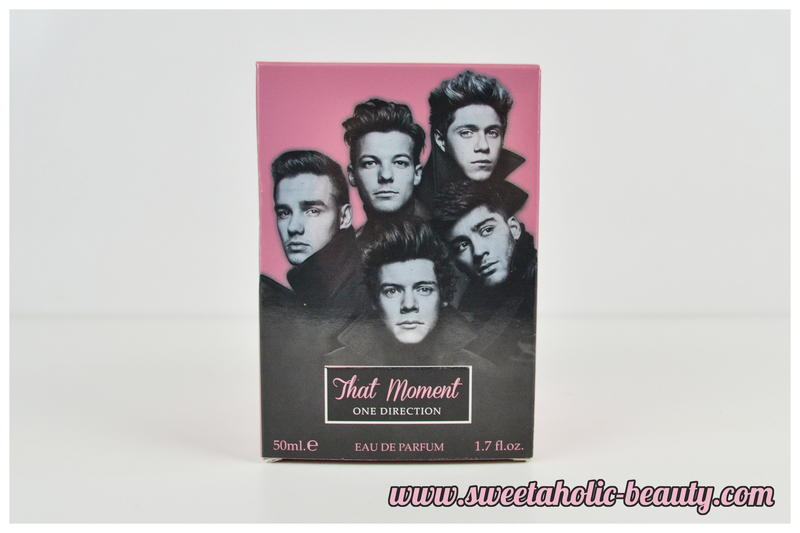 I never would have thought that 1D would make a perfume that'd appeal to an older than tween crowd, but this review makes me want to rush out and get it! I'm long overdue for a visit to DJ's to sniff all the latest fragrances. I'll be sure to seek this one out, it sounds great!